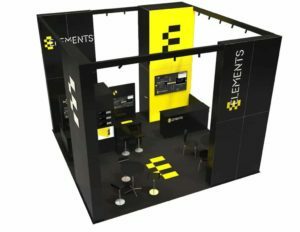 Choose one of the exhibit sizes below to browse through our extensive gallery of rental designs. However, please keep in mind that you're not limited to these rentals. Our booths are designed to be customized to your liking. Combine different design elements from multiple exhibits to create a display that meets your needs in terms of look and function. New York Exhibit Rentals produces one-of-a-kind, innovative and exciting exhibit rentals for any budget and for any sized space. All of our rentals include hardware, graphics, and a full array of services including shipping, installation, supervision and more. 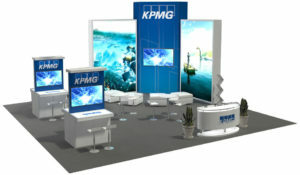 The 10x10 rental exhibits that we produce can vary from simple backdrops or backwalls, to intricate and unique designs. Our New York location has trade show booths and displays that can suit any size, space, or budget. Check out some 10x10 exhibit examples using the link below. The 10x20 rental exhibit is one of our most popular and sought after sizes in New York. 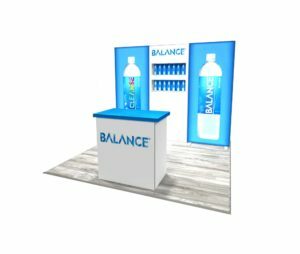 The size of this rental display allows for great representation at your next show while not overdoing it in terms of budget or size. These booths typically feature a larger back wall with the potential for vibrant graphic panels that can be backlit to enhance and draw attention to the exhibit. 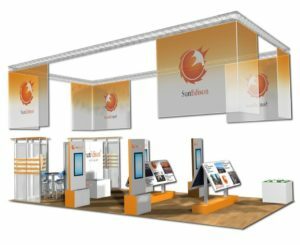 When it comes to larger sized booths, such as our 20x20 rentals, there is a lot more flexibility in the layout and overall design of the display. Here at New York Exhibit Rentals, we are determined to deliver high quality exhibits that will impress both show attendees and competitors. Click the link below to browse through our 20x20 rental gallery. Impress everyone at your next show like never before with one of our amazing 20x30 rental exhibits. These larger booths have the capabilities for many different features that will be sure to make your space stand out amongst competitors. View the gallery below and browse through some examples. 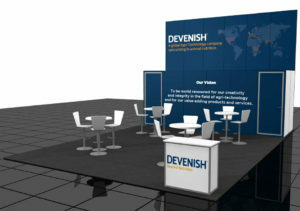 Bigger booths usually gain more attention at trade shows. Our 30x30 rental exhibits can be customized to your liking. In fact, all of our rentals are highly customizable and, if needed, some features can be purchased rather than rented. Look through our 30x30 exhibit design gallery using the link below. At New York Exhibit Rentals, we have the skills and resources to deliver the most impressive exhibit or display, from small pop-up banners to the large, state of the art trade show booths. If you are on the hunt for an exhibit, no matter the size, budget, or whether its rental or custom, we can handle it. 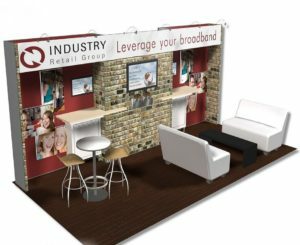 Our New York location has dozens of years of experience building trade show booths all around the nation.